Special Guest Feature! 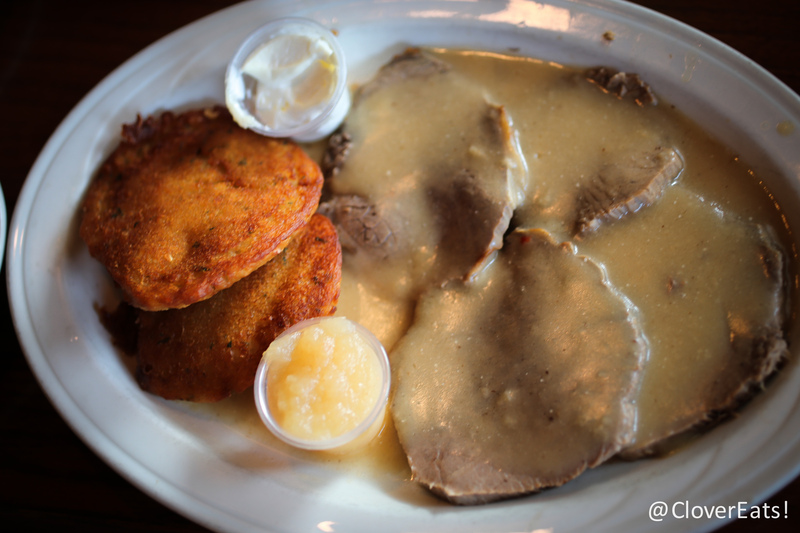 JennyNoms: Metzger’s German Restaurant | Clover Eats! A foodie friend, and an amazing artist, Jenny is one of my favorite people to grab dinner with. She’s super energetic and always open to try something new – we went to the Blank Slate Creamery opening together just a few weeks ago! Jenny’s artistry really shines through in everything she does, so please enjoy her lovely review below! 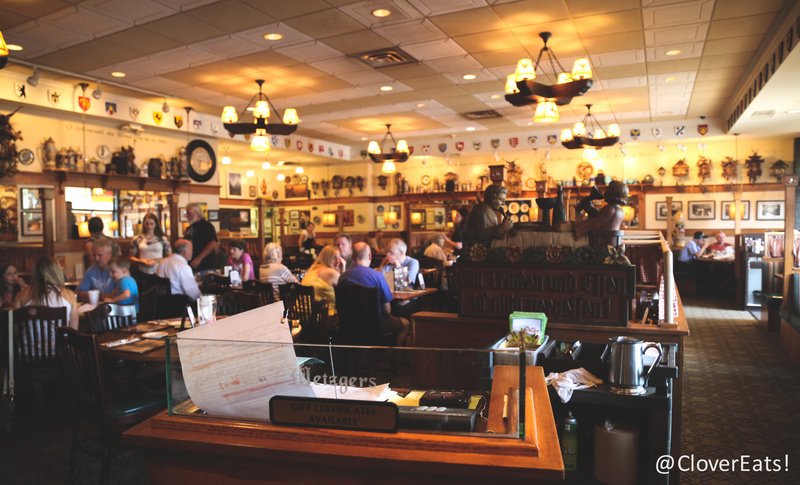 With all of the modern eateries opening in the Ann Arbor recently, it’s great to discover some oldies but goodies that have the hungry returning time after time. 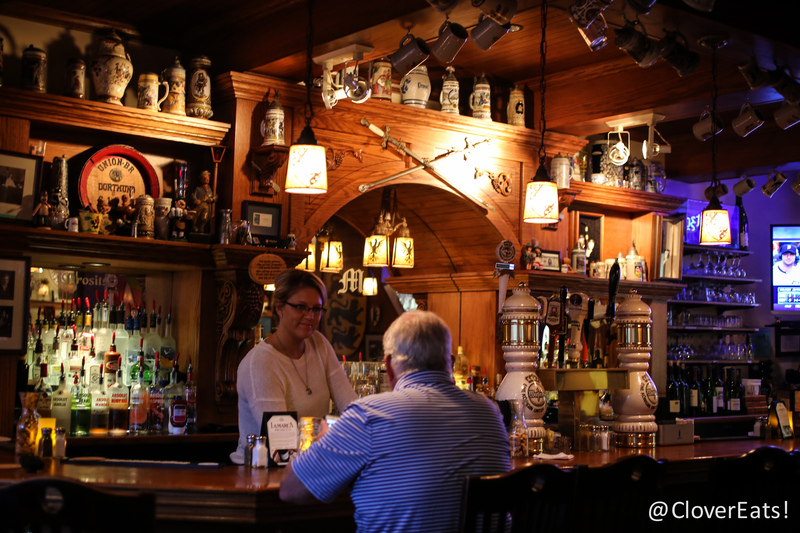 When Clover invited me to tag along with her and Fred to Metzger’s German Restaurant, a family-run business that has been around for 80 years, I was excited to try out some of that hearty German faire I’ve always heard about. 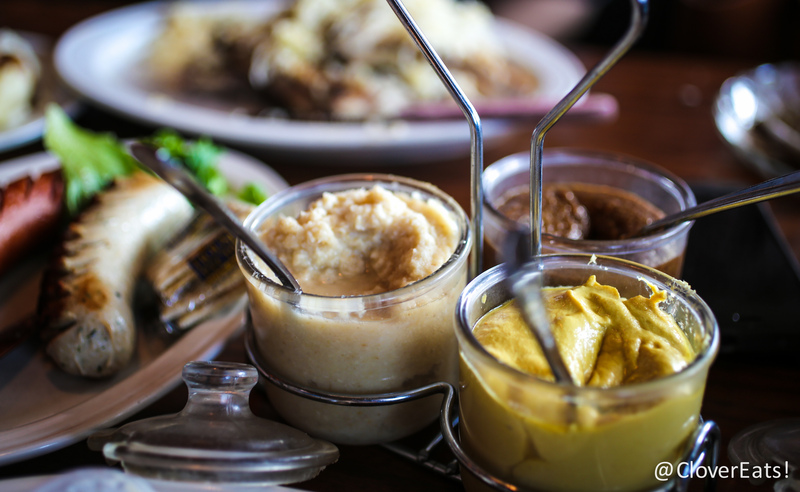 We were greeted at the door by the warm savory smell of gravy and sauerkraut, a tantalizing preview of the meal to come. 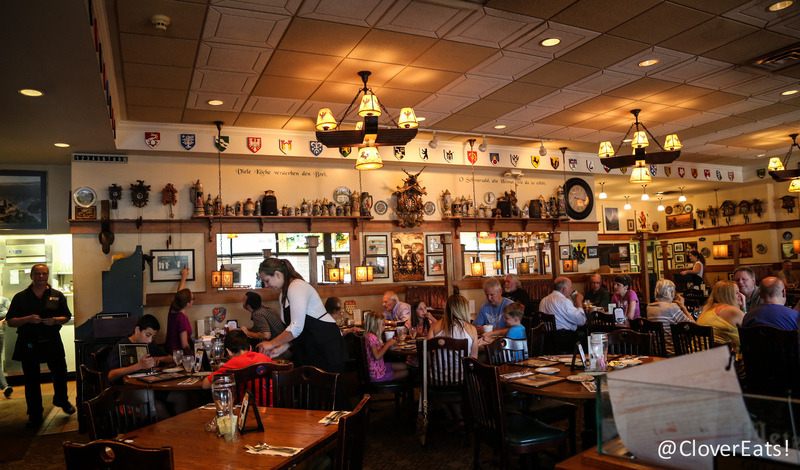 The interior of Metzger’s were lined with various cuckoo clocks and beer steins and effectively persuaded us to believe we were in a little piece of the German countryside. Seating was quick and help with the menu was patiently provided, as the traditional German items needed an extra bit of explaining. 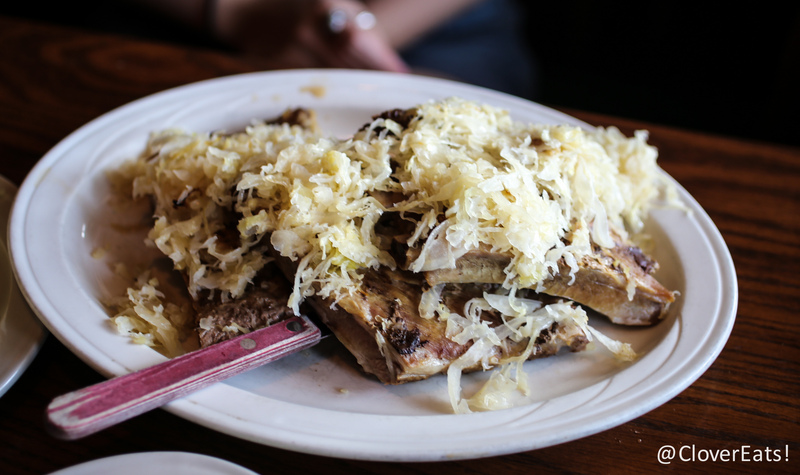 Feeling hungry and ambitious, I ordered the ribs and mashed potatoes with sauerkraut, a side salad, as well as a ‘wurst plate’ appetizer. 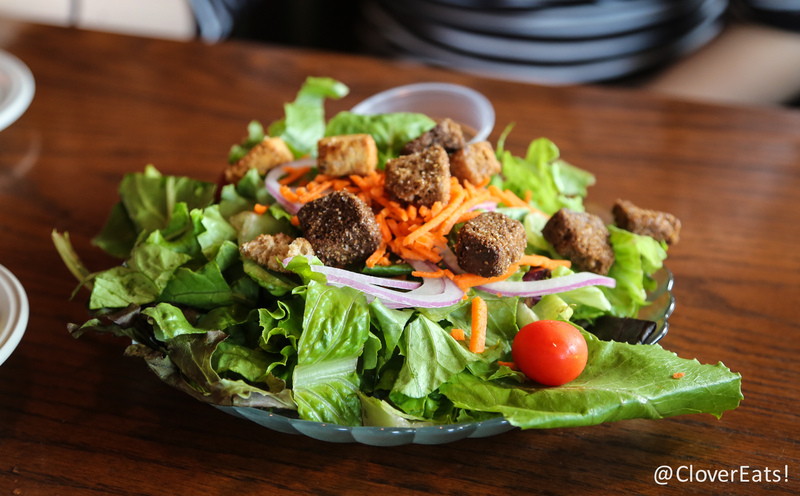 The salad was pretty ordinary, but I enjoyed the refreshing vegetables as they were to be the only green items on my plate that evening. As promised, the ribs were tender and fell easily off the bone, and the mashed potatoes were buttery and paired well with the savory brown gravy. 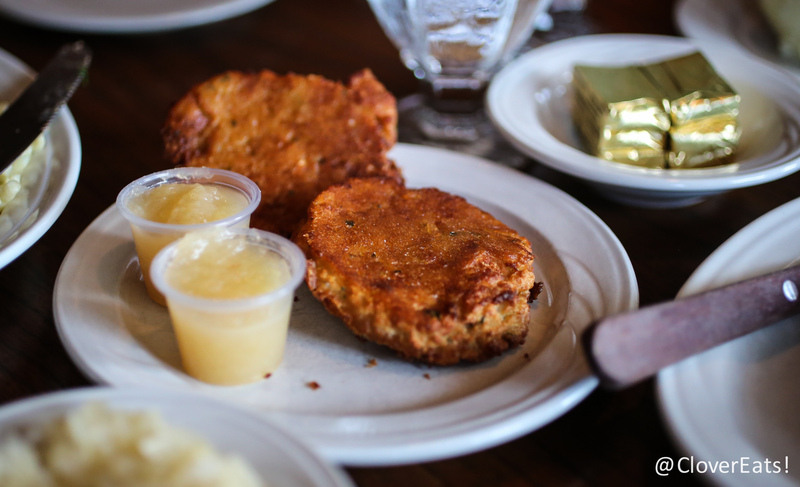 Bits of German potato pancakes were stolen from Clover’s plate with great satisfaction as they were wonderfully crispy and golden brown on the outside with flaky potato-y goodness within. 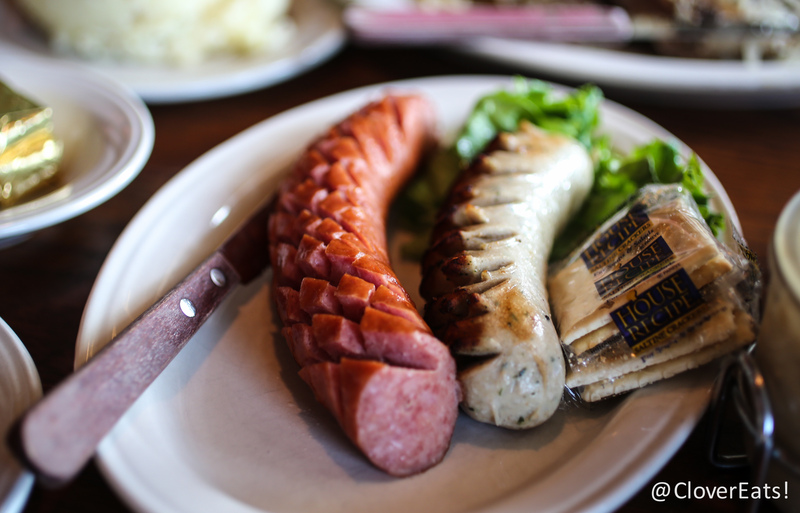 The wurst plate appetizer was a Mettwurst and Bratwurst that we sliced into for the occasional accent of rustic smoky flavor. Fred’s spätzle piqued my curiosity as I had never heard of the dish before. 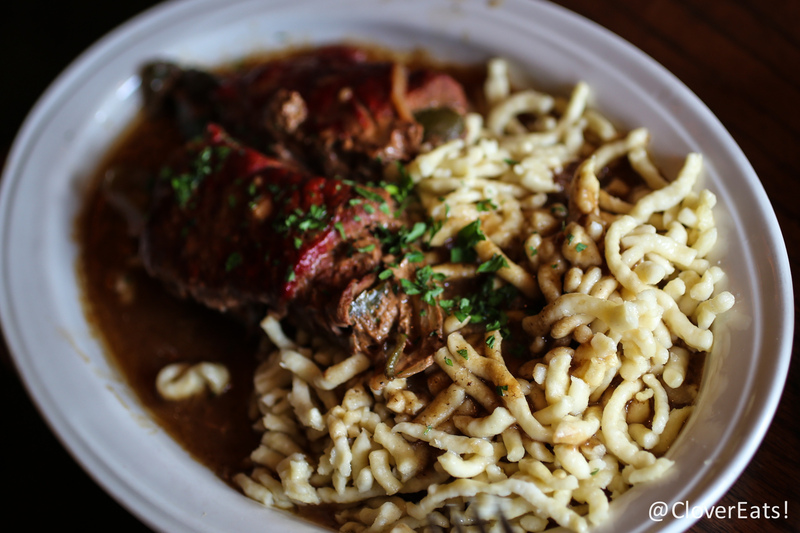 The spätzle was noodle-like with a doughy consistency and an egg-y flavor, certainly a novel texture. 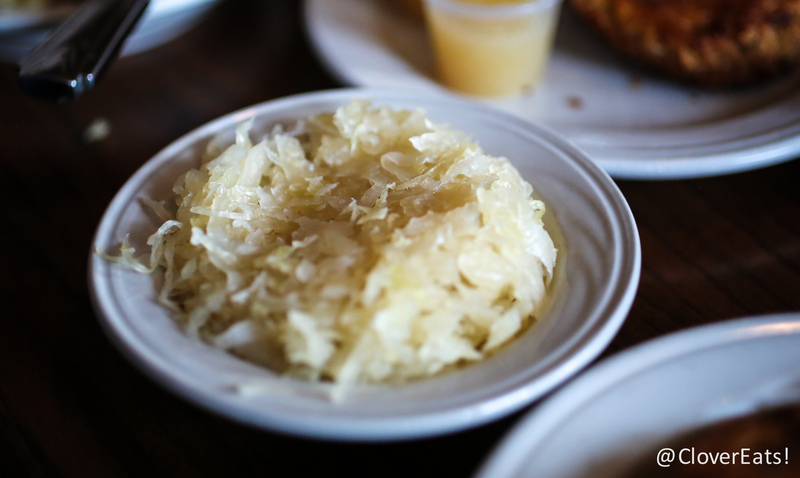 The star of the evening was without a doubt the sauerkraut. I received a generous coating over my rib dish, and Clover was provided with a small heaping bowl, which she dug into enthusiastically. 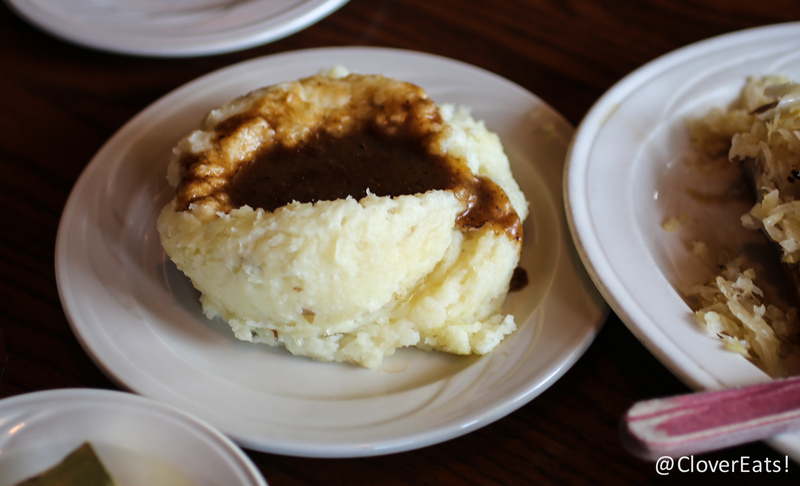 Both of us were impressed by the addicting tartness of the cabbage, and could have definitely eaten another helping! 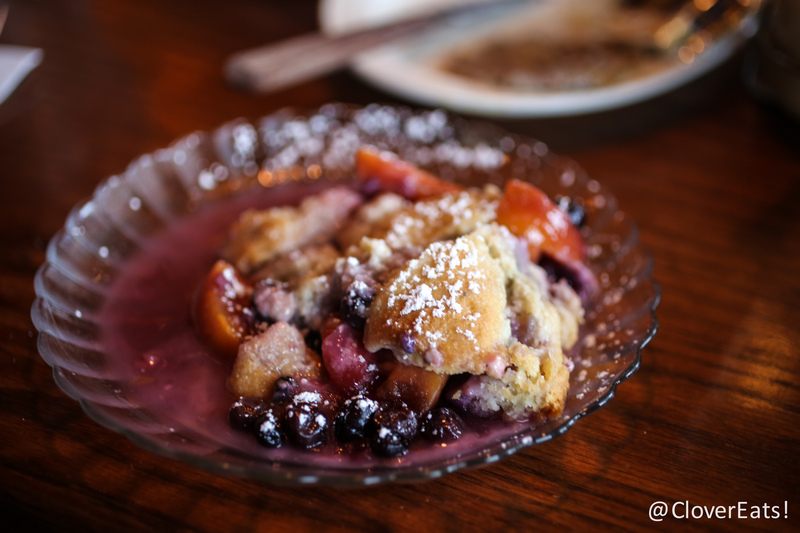 For dessert, Clover and Fred shared a piping hot blueberry and peach cobbler, myself being too full to take another bite. 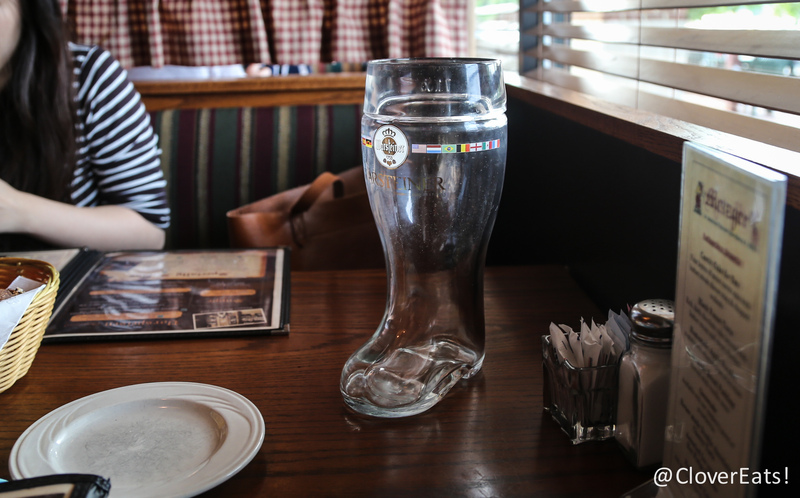 Later that evening I told a German friend of mine about our meal and learned that this particular type of food and decor was mainly representative of Bavaria, of the beautiful Neuschwanstein castle fame (inspiring the castle from Disney’s Sleeping Beauty). Although he thinks the food is quite delicious, it does not quite represent German cuisine as a whole, so much as burgers and fries represent America. 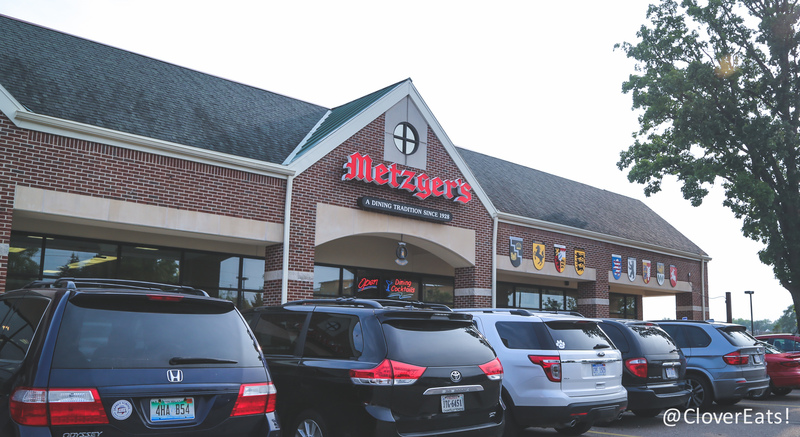 With that in mind, however, my experience at Metzger’s met my expectations for a hearty, comforting meal that will certainly keep me full for many hours to come! My inlaws are off the boat German and we went there with them. They were in Teutonic heaven. It’s weird that it’s in a strip mall tho, which I guess it wasn’t always there. Once u get thru the doors, u think ur in an old skool place. Gr8 job Jenny! So what’s this art that Clover was talking about? 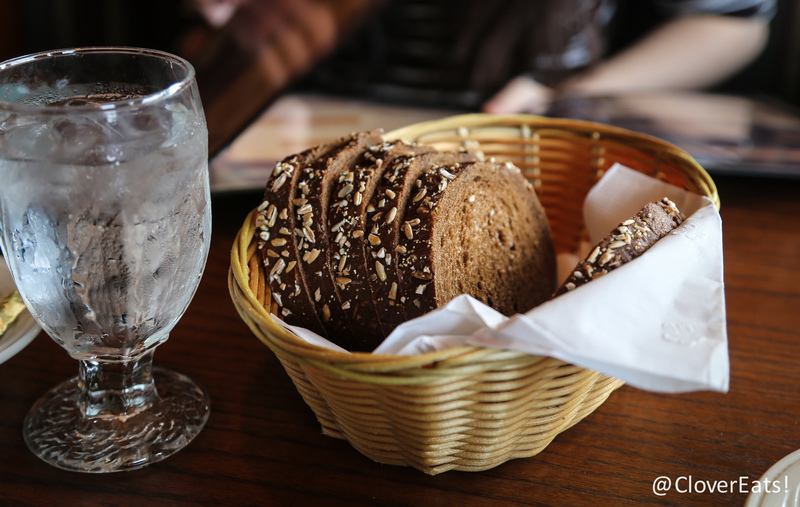 Pingback: Snapshot: Tony Sacco’s Coal Oven Pizza | Clover Eats!